CAMH is making tremendous breakthroughs at the intersection between mental illness, the aging process and neurodegenerative diseases — and we have a unique approach to thank for these breakthroughs. CAMH has the largest geriatric mental health program in Ontario and provides a full range of inpatient and outpatient services. 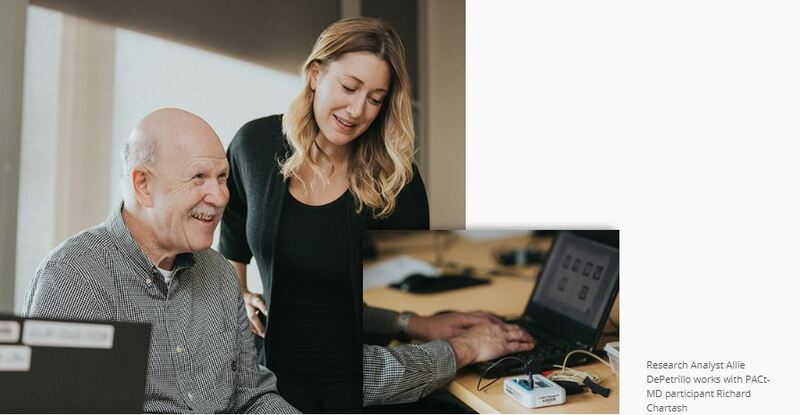 For example, early results from CAMH’s PACt-MD study suggest a painless form of brain stimulation combined with memory and problem-solving exercises to prevent Alzheimer’s dementia is very well received and tolerated in some people. The study is funded by Brain Canada and the Chagnon Family in the largest grant ever for Alzheimer’s prevention in Canada. “Being optimistic, by 2020 we could have an intervention that prevents Alzheimer’s dementia in two high-risk populations, people with either mild cognitive impairment or depression,” says Dr. Rajji. CAMH researchers have also shown promising early results in a study aimed at enhancing neuroplasticity — the brain’s ability to reorganize itself – in patients with early Alzheimer’s disease. Funded by the Weston Brain Institute, the researchers are using brain stimulation in hopes of slowing disease progression. Our extensive collaboration is also having a tremendous impact. 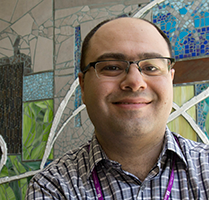 As a participating site in the OPTIMUM Study, CAMH is testing the effectiveness of addressing late-life treatment-resistant depression using different medications trials. “These are the powerhouse studies that will have real global impact, and change the way we treat treatment-resistant depression in older adults,” Dr. Rajji says. And CAMH continues to lead the field in developing Integrated Care Pathways — standardized care plans that ensure everyone receives the right care at the right time. Our successful inpatient care pathway in Dementia: Management of Agitation and Aggression has been recognized by Health Quality Ontario, and long-term care homes and hospitals through the province have shown interest in adopting it. Hundreds of people have already benefited from CAMH’s care pathways, including in Late-Life Schizophrenia and the Memory Clinic pathways. The key will be harnessing and improving our already highly efficient integration between CAMH’s clinical and research services. By creating increased synergy across all projects, they’ll become greater than the sum of their parts. Aggression associated with dementia is a major problem in long-term care homes, sometimes resulting in serious harm or even death. CAMH has developed a new approach to care focused on reducing aggression quickly by minimizing overmedication and inefficient treatments.